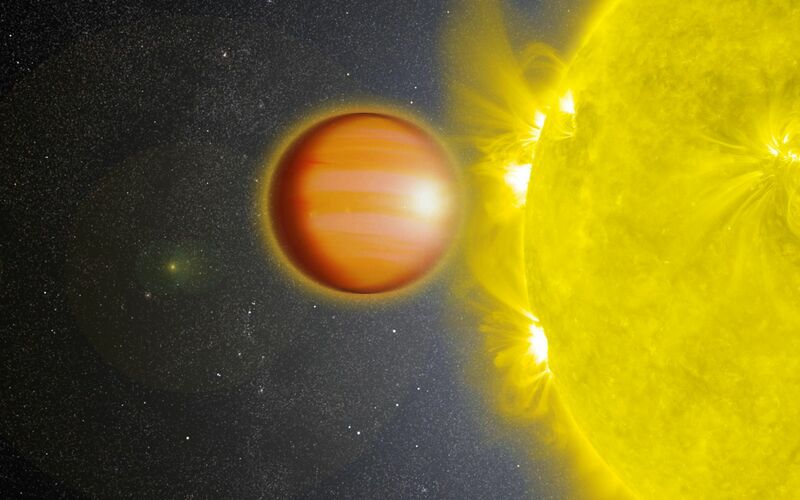 WASP-18b is an exoplanet located 325 light-years from Earth. 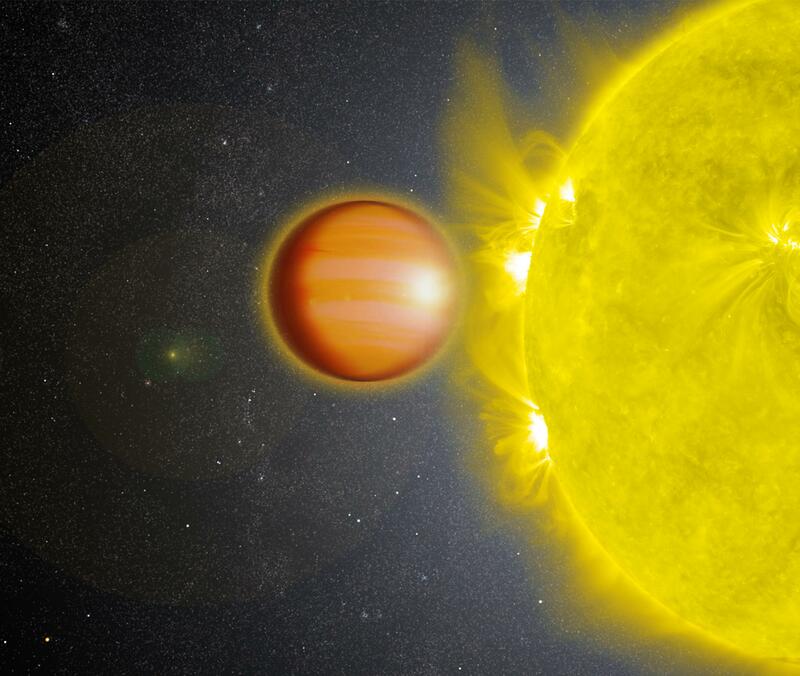 The planet's mass is 10 times that of Jupiter, and it orbits its star once every 23 hours. 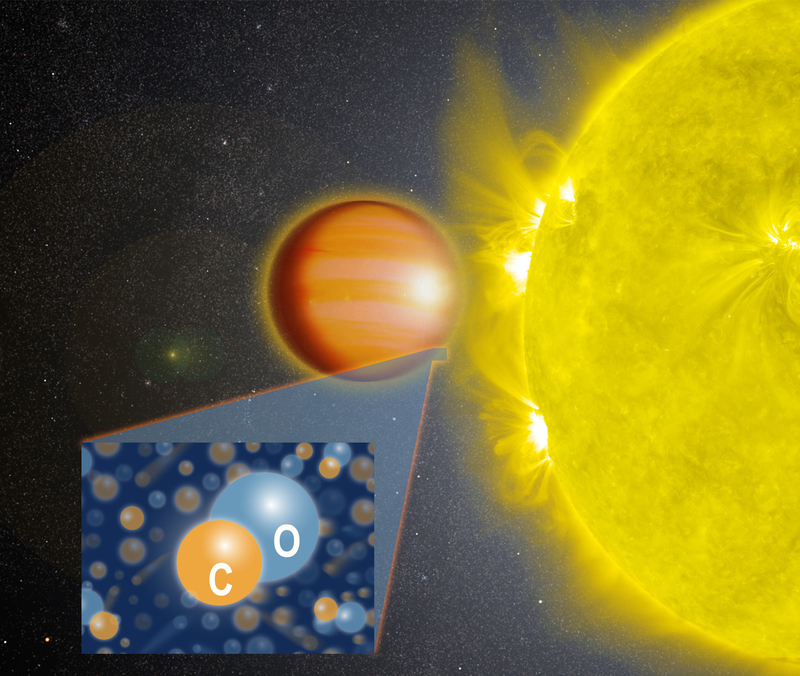 A 2017 study found that this planet has a stratosphere that's loaded with carbon dioxide, but has no signs of water. A stratosphere is a layer of atmosphere in which temperature increases with higher altitudes. 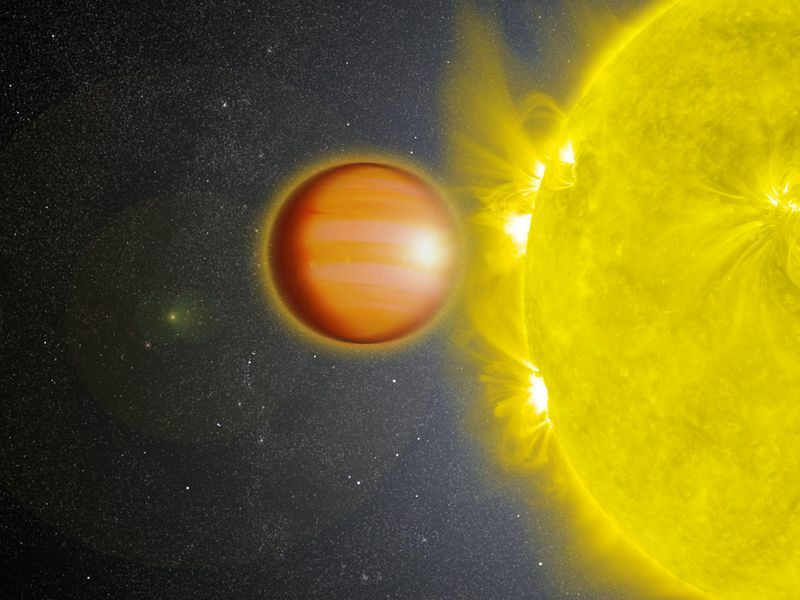 The study used NASA's Spitzer and Hubble space telescopes.